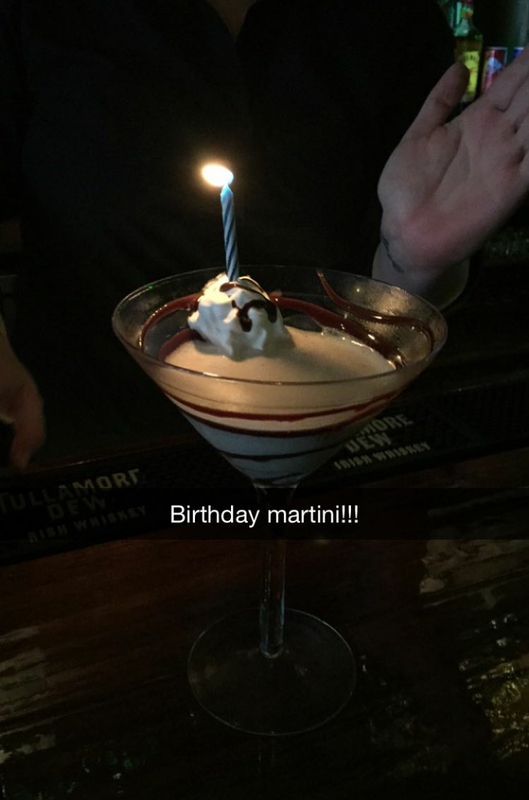 Today’s cocktail: Mint Chocolate Birthday Martini! This martini tastes just like a mint chocolate cookie and its pretty too! you can’t be sad on your birthday drinking this martini! I made this one in honor of a girl who just started bartending for me whose birthday is today. Tasty!